In Jambo! 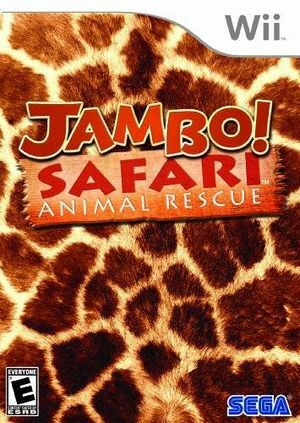 Safari: Animal Rescue become a safari park ranger in a wild action packed African adventure! Take on challenges in a variety of Land Rover vehicles to rescue wild animals with your lasso and bring them back to The Ranch. Nurse your animals back to full health in the enclosure before releasing them back to the wild. Packed with realistic environments to explore, exciting challenges, customization, photography and collectables. The graph below charts the compatibility with Jambo! Safari: Animal Rescue since Dolphin's 2.0 release, listing revisions only where a compatibility change occurred. This page was last edited on 12 February 2018, at 03:37.